Our architectural wall and ceiling panels are designed to acoustically treat and soundproof interior wall and ceiling spaces including; schools, music rooms, universities, churches, offices and any space that has reverberation problems. Sound Quality products include; acoustical wall panels, acoustic ceiling tiles, ceiling baffles, ceiling absorbers, flexible noise barriers, specialty ceiling tiles, acoustic banners, reflectors and sound diffusers and noise barriers. 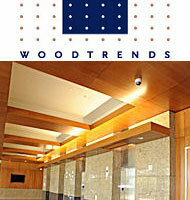 Products include: acoustical wood ceilings, wood walls & custom wood ceilings and wall systems. Also check out our in stock wood ceiling tiles. 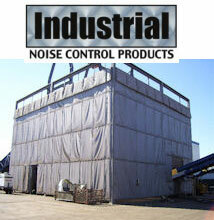 Designed to reduce noise in a wide variety of industrial applications our industrial noise control products feature acoustic enclosures, mass loaded vinyl barriers, wall absorbers, indoor enclosures, flexible noise barriers and other soundproofing products.